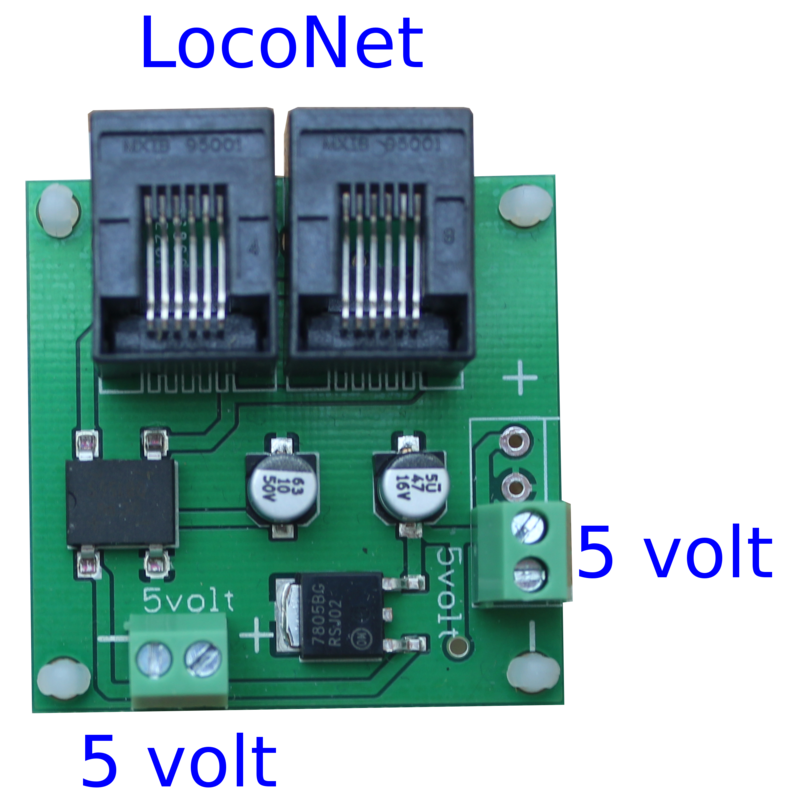 This card takes its power from LocoNet and provides 2 (3) connections for 5 volt. One of the "larger Electricity Distribution" cards should be used to inject power into the LocoNet. The card is suited for supplying power to e.g. a control panel. Maximum current that it can supply is 1A in total. If more current is needed, then use the larger Electricity Distribution card. The card is equipped LocoNet connection and 2 screw terminals for 5 volt. It can be expanded with 1 extra connection for 5 volt.